Koko Monk by Levni Chocolates held an exclusive chocolate tasting night to mark the recent launch of Koko Monk’s first retail store. 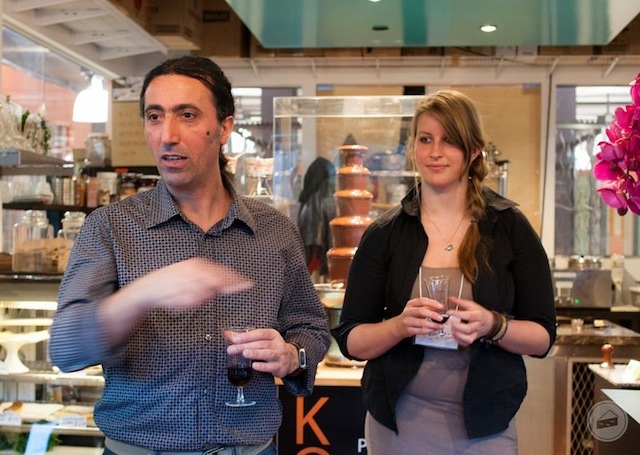 Paul Dincer, owner and chocolatier, shared his new direction of post-modern chocolate making with a select group of media in a blind tasting journey of exotic and extraordinary combinations. Paul’s chocolates are delicately handmade, hand tempered, and beautifully hand painted, so no machines are used during entire process. 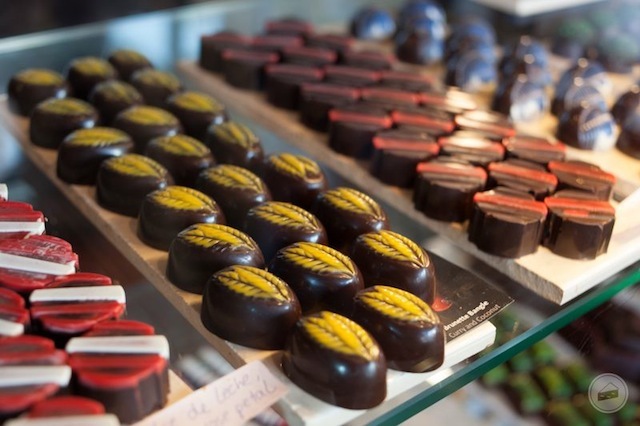 His chocolates are made from high quality Belgian chocolate and contain 80% raw ingredients. A published author in Turkey, Paul wanted to combine his passion for writing with something more financially viable so he moved to Australia to study business administration. There he met an Italian chef and they worked to make chocolates together for six years. 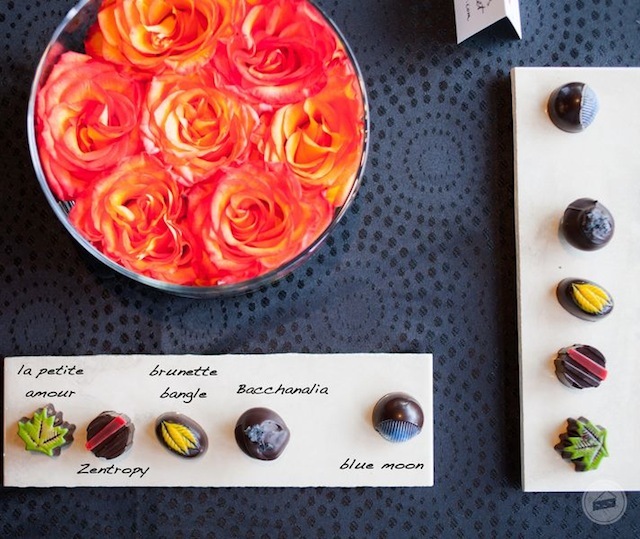 He then moved to Vancouver and began making Levni Chocolates from his own home. 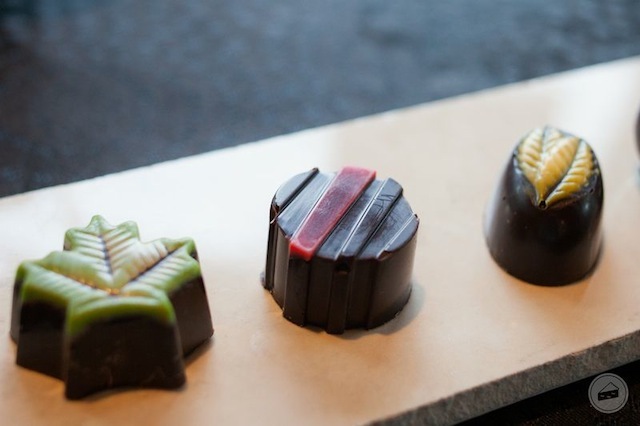 He started selling his chocolates at the Kitsilano market, and then sold them in other markets around the city for three years. 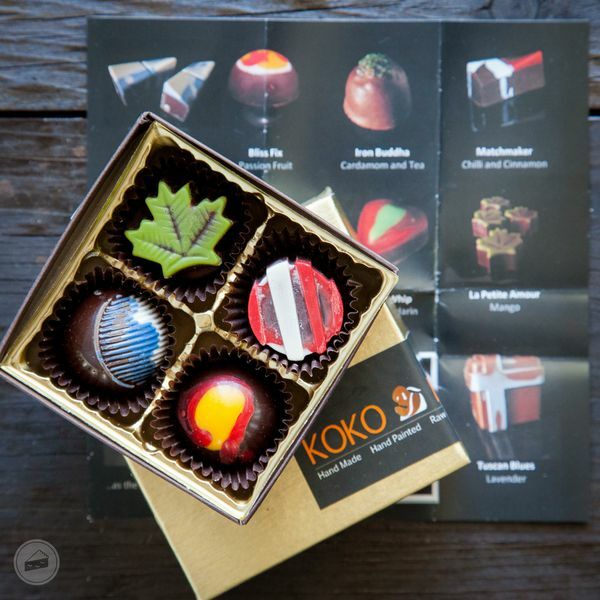 Paul decided to open his retail store Koko Monk in Kits because it was the neighborhood where it all began. Paul’s literature background inspired his beautifully delicious creations. 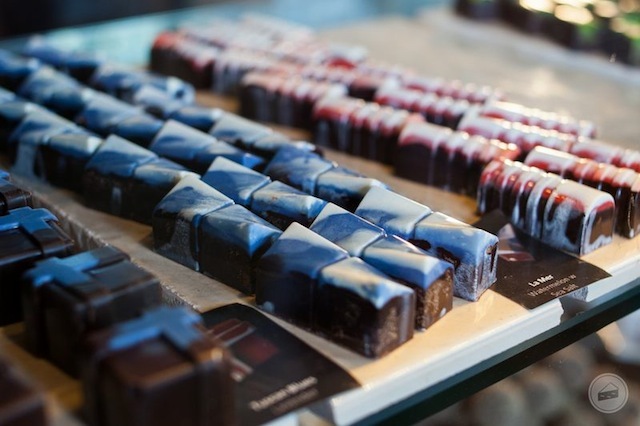 The first chocolate he made, ‘La Mer’, was influenced by Earnest Hemingway’s famous novel, The Old Man and the Sea. Its blue and white colors form the sea while mimicking waves, and its interior contains fresh watermelon and sea salt. Another chocolate, ‘Juliette’s Whip’ was inspired by Shakespeare’s tragedy, Romeo and Juliet. Its initial flavor is green mandarin which represents Juliet, followed by bergamot (Romeo), and then ending with rosemary (death). During the event, we tasted a total of six chocolates and tried to guess their respective ingredients. First was ‘La petite Amour’ with fragrant mango, lemongrass, and lime, proceeded by ‘Zentropy’ with a kick of wasabi, ginger, and orange. Next came ‘Brunette Bangle’ with Moghul curry and slightly sweet coconut. The fourth chocolate we tasted was ‘Bacchanalia’ with a burst of balsamic vinegar and caramel with sea salt. 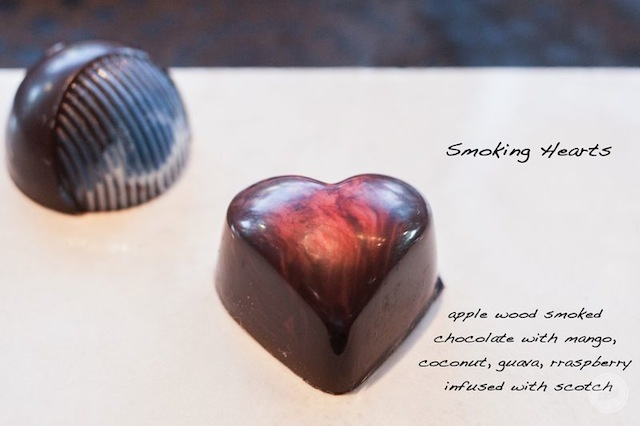 Smoking Hearts is flavored with genuine apple wood smoked chocolate, scotch infusion, and is “The World’s Only Double Smoked Chocolate”. 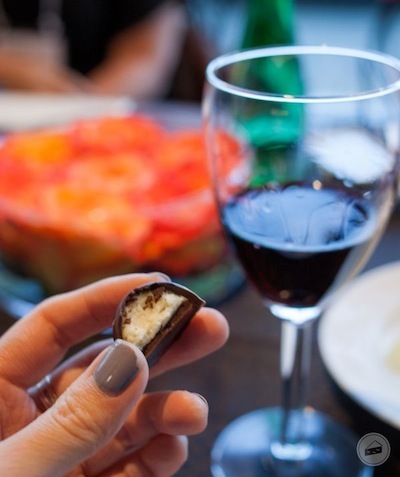 During the tasting session, Paul reminded us to bite but not chew, and let the chocolate melt in our mouth while experiencing a unique adventure with each flavor complimenting the others. Each delightful chocolate had a beginning, middle, and end, like a good novel. 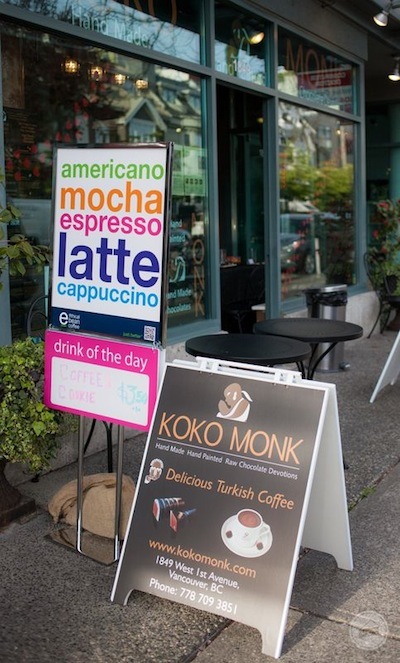 Along with handmade chocolates, Koko Monk’s retail store in Kitsilano (near Rocky Mountain Flatbread Company) also sells pastries created by a German pastry chef, alongside their signature authentic hot chocolate and specialty coffee. *Many thanks to Suki’s Salon & Spa, Hilary Miles Flowers, and Costen Catbalue Goldsmiths + Design for sponsoring this event. Joann Pai is an acclaimed food and lifestyle photographer based in Vancouver. As a contributor of Eating in Vancouver & the World she enjoys being a part of her community and supporting local businesses. Visit Joann’s website and connect with her on Facebook, Instagram @hootlicious, and Twitter @hootlicious.